There's no telling what hardships your car seats will face in the future. That's why it's important to be prepared for the worst. A car seat cover will greatly reduce the risk of damage to your vehicle's seats, whether it be from spills, scrapes, tears, or burns. 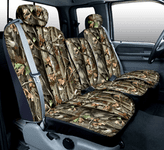 Choose from Economical Universal Fit Seat Covers or Custom-Made Covers designed specifically for your car or truck. 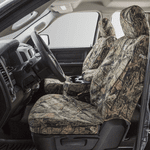 Protect original upholstery from damage and provide a more personalized look to a vehicle interior. 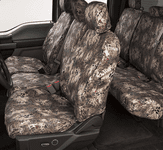 Keep your seats looking new for years with slip-on SeatSaver seat protectors.